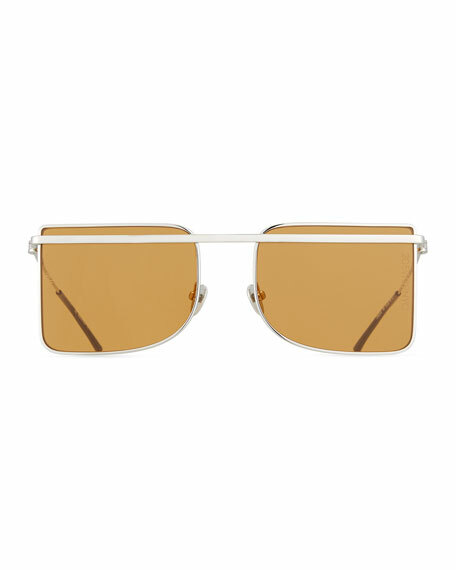 CALVIN KLEIN 205W39NYC square aviator-style sunglasses. Metal frames with arms extending to full brow bar. Monochromatic square lenses; logo script detail. Slim arms with forked temple. For in-store inquiries, use sku #2366386.